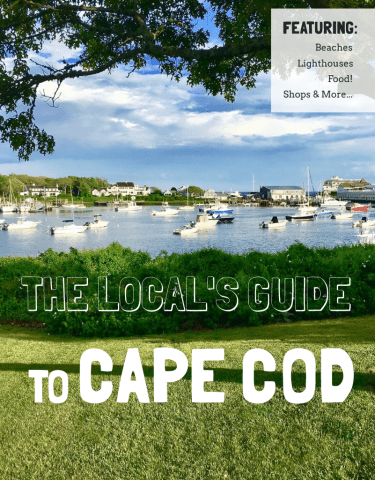 We spent a day on Martha’s Vineyard, these are the highlights of a long day spent seeing the best of the island. We found the best way to get around is to bring your own transportation! 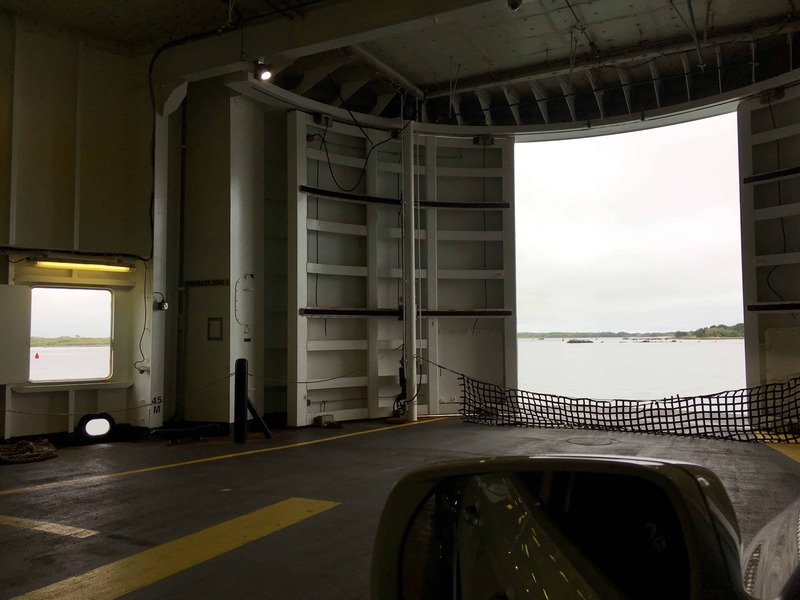 We took our car over on the Steamship Authority from Woods Hole and the round trip ferry was $171. Well worth it if you have just a day to see everything you want to see. Vineyard Haven is where we came in on the ferry so we drove through the neighborhoods exploring. 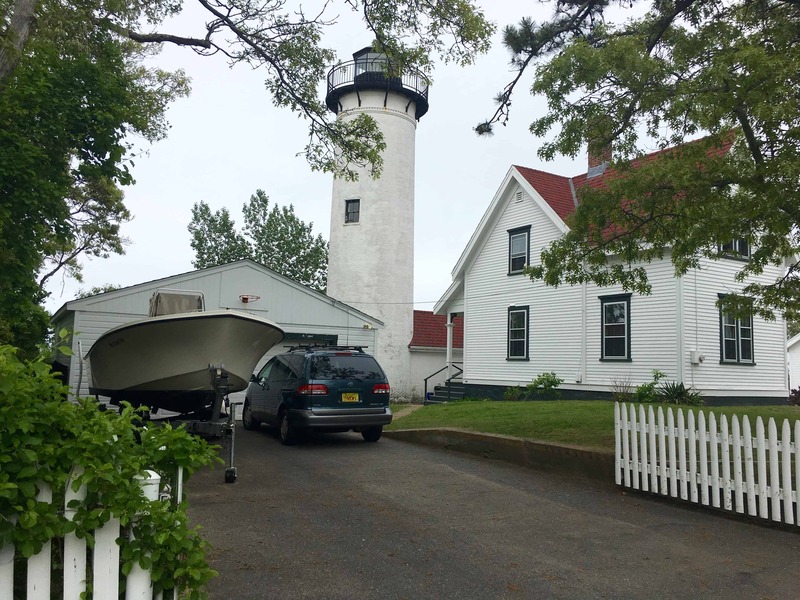 What a surprise to find a lighthouse where you didn’t expect to see one, right in a residential neighborhood. As we drove through town we saw many boutique shops on Main Street that would be worth stopping in but, being on a timeline we had an island to see! As we left Vineyard Haven we headed West to Aquinnah and the Gay Head Lighthouse. You can see why President’s vacation here, it gets rural and very secluded quickly. As soon as we left town we felt the change of pace slow way down. Some of the most spectacular beaches in the world surround the Vineyard. Unfortunately, we found more than we would have liked that were private. A stand out was Lobsterville Beach near Gay Head. 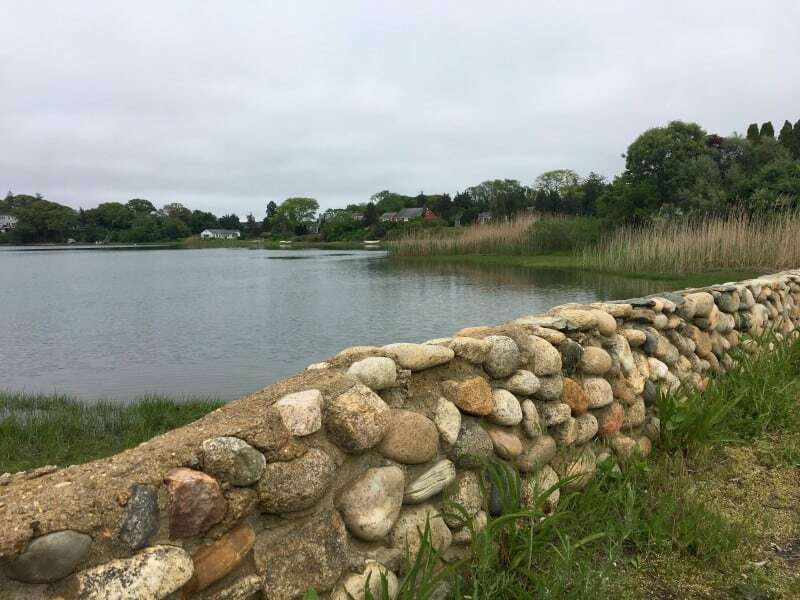 As you drive East to Edgartown, enjoy the endless stone walls that highlight your trip through one of New England’s best islands. For those that don’t know, Edgartown is where Jaws was filmed. We passed right over “Jaws” bridge and while we didn’t know we were on it at the time…we felt something familiar. In the warm summer weather, this is a great spot to stop and swim. 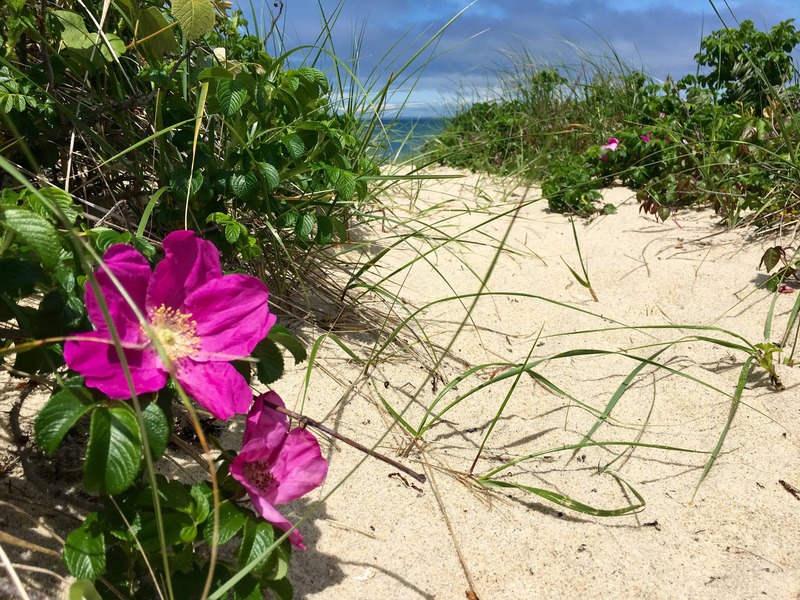 To find the bridge, take Beach Road north out of Edgartown and …you’ll find it. 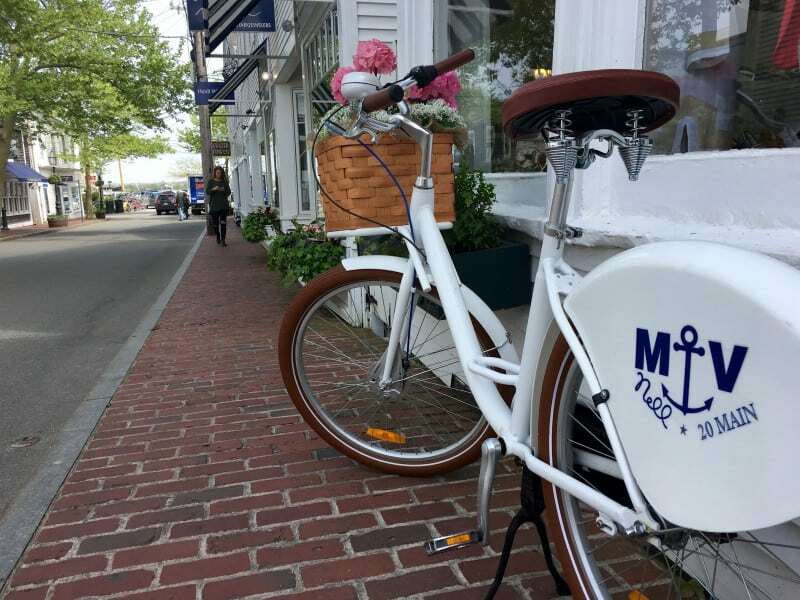 Downtown Edgartown had a feel all its own and we enjoyed sitting out on the front patio of Atlantic Fish & Chop House watching the world go by. 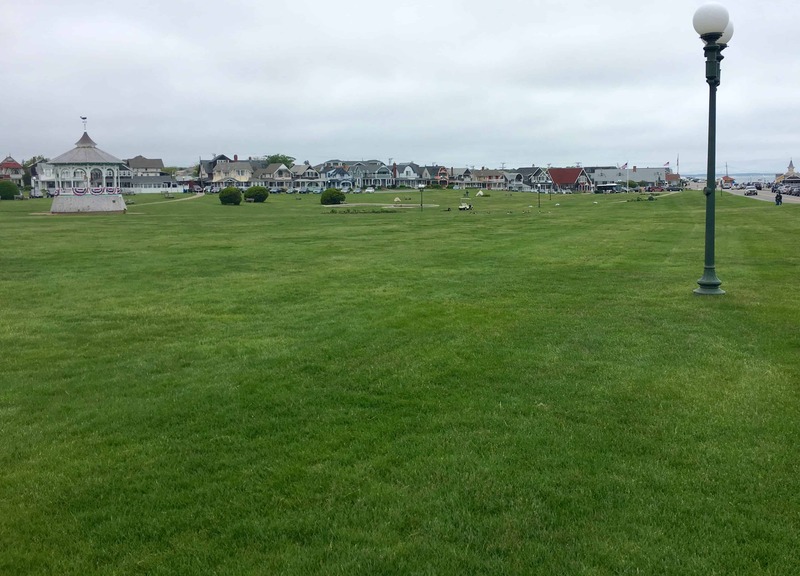 Oak Bluffs was a fascinating town, lots of color and big views. Our favorite parts of town were the old Methodist church camp cabins and Ocean Park. The church camps are the evolution of tents to more permanent hand built cabins. Ocean Park is surrounded by colorful, amazing homes overlooking a sea of grass and the ocean in the distance. As we left Oak Bluffs and had just driven back in to Vineyard Haven we found a great spot for an early dinner. 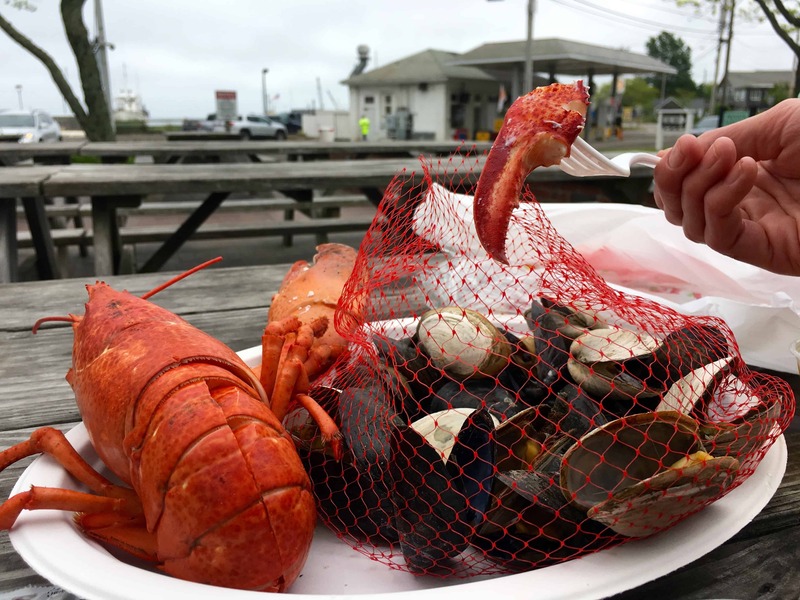 The Net Result had steamed lobster, mussels, and clams ready for take out for $17! It is owned by the Larsen family, who have seafood markets all over the Vineyard. 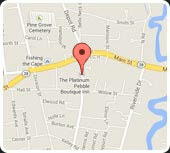 If you see a Larsen restaurant, you found the right spot. The sunset ferry back to Cape Cod was a nice touch to the end of a long day. 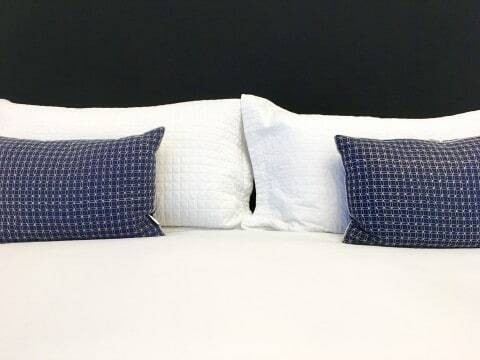 If you are staying at the Platinum Pebble Boutique Inn, we are happy to help with custom itineraries to maximize your time here and further afield. 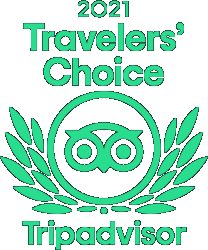 We will find the best so we can share it with you. Live like a local at the Platinum Pebble and ensure an unforgettable vacation. 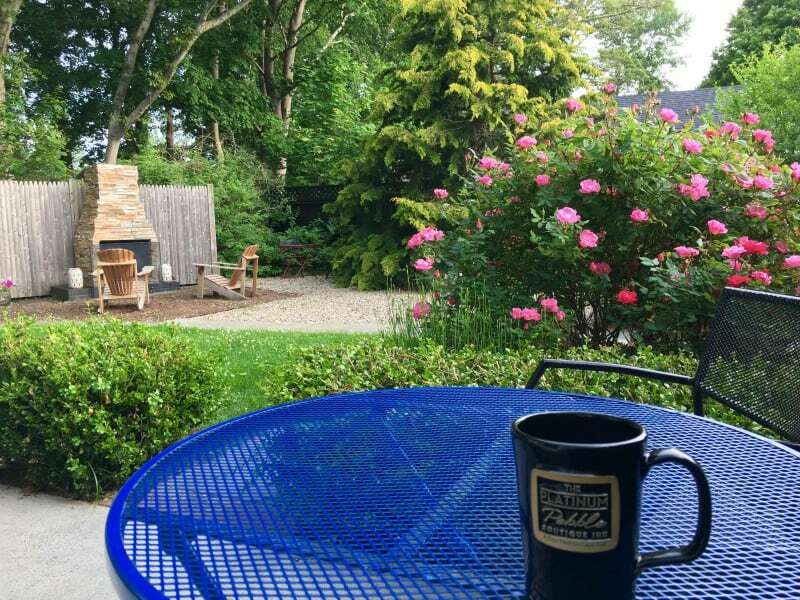 If you are interested in learning more about the Platinum Pebble Boutique Inn as your next great bucket list vacation, click below for a virtual tour. 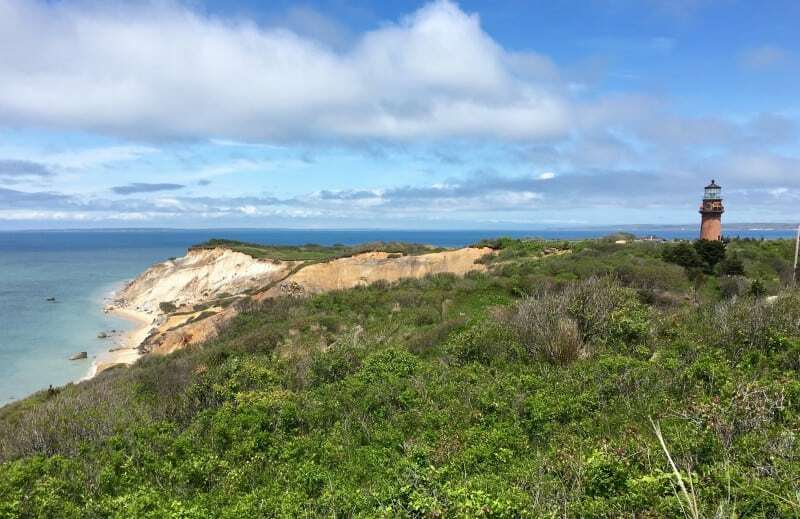 If you know anyone who is thinking about a day trip to Martha’s Vineyard, please share this article with them. Cape Cod Helicopter Tour | Whooooaaa, This is Awesome!